NORTH ROBINSON — Last Friday, the track teams from Colonel Crawford High School would host the annual Bob Royer Invitational. The hosting Eagles squad would fare well on the day, with the boys winning the title and the Lady Eagles finishing as the runner-ups. On the boys side, Crawford finished the invite with 181 points to outlast the 160 points scored by Northern-10 Athletic Conference foes, the Upper Sandusky Rams. Crestline would finish in fifth place with 66 total team points. The hometown Eagles would sweep all four relay events on the day to earn 40 of their total points. The 4×800-meter foursome started the day off with a victory in 8:49.01. Just a few events later, the Eagles boys took the title in the 4×200-meter event with a finishing time of 1:34.56. Crawford cruised to a victory in the 4×100-meter relay with a time of 45.04 and would cap the sweep by winning the 4×400-meter relay in the championship time of 3:39.08. Colton Rowland and Kaleb Landin would win two events each on the day for the hosts. Rowland took first in the 100-meter dash (11.69) and the 200-meter dash (24.36). Landin won the 40-meter dash with a time of 4.98 and earned the top spot in the pole vault at 12’06”. Four individuals would also go on to win events on the day for the Eagles. Chad Johnson breezed past the competition in the 800-meter run, winning with a time of 1:57.58. Braxton James sat atop the board in the 1600-meter run at 4:53.99. Cody Reed rounded out the track wins for Crawford, taking first in the 400-meter dash in 54.89. Seth Carman wrapped the winners for the Eagles, earning first in the long jump at 20’¾”. Other placers for Crawford last Friday were: Jacob Rahm- 3rd, 110-meter hurdles and 4th, 300-meter hurdles; Zack Mortiz- 5th, 110-hurdles; Trevor Shawber- 5th, 100; Carman- 5th, 400; Dylan David- 5th, 300-hurdles; Alex Mutchler- 5th, 800 and 2nd, pole vault; Drake Delong- 3rd, discus and 6th, shot put; Jonah Studer- 4th, discus and Owin Seevers- 2nd, long jump. 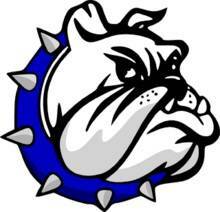 Placing for the Crestline Bulldogs boys team on the day were: Max Anatra- 2nd, 110-hurdles and 2nd, 300-hurdles; Garrisen Almanson- 2nd, 100 and 3rd, 40; Dakota Wireman- 2nd, 400; Gavin Balliett- 8th, 800; Logan Parrella- 3rd, shot put; Matt Oehrli- 7th, shot put; Alec Sipes-5th, pole vault; 4×200-relay, 5th; 4×100-relay, 3rd and 4×400-relay, 4th. On the girls side, it would be the Lady Rams of Upper getting the title, scoring 196 to the 128 points from the hosting Lady Eagles. The Crestline Lady Bulldogs woud finish in eighth place with 25 points scored as a team. Crawford’s girls squad would see one relay team and three individuals earn first place finishes last Friday afternoon. 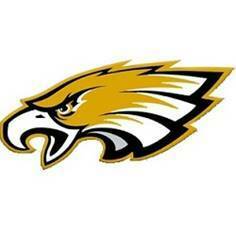 The Lady Eagles 4×100-relay team won the top spot with a finishing time of 54.04 for their only relay championship. In the individual events, Cassidy Vogt topped the field in the 300-hurdles (51.66) and Reegyn Goyer won the 100 with a time of 13.24. Drew Krassow won the only field event of the day for the Eagles, taking first in the high jump by clearing 5’02”. Other placers for the hosting Colonel Crawford squad were: 4×800-relay, 3rd; 4×200-relay, 6th; 4×400-relay, 5th; Vogt- 2nd, 100-hurdles and 2nd, 40; Julia Brewer- 2nd, 100; Courtney Britt- 7th, 1600; Katie Hopkins- 8th, 1600; Madisyn Cooke- 8th, 400; Kari Teglovic- 6th, 800; D. Krassow- 5th, 200; Ally Hocker- 2nd, 3200; Alison Manko- 4th, 3200 and 8th, pole vault; Jilliane Gregg- 6th, discus; Kiersten O’Rourke- 6th, high jump and 8th, long jump; Pierce Krassow- 2nd, shot put; Lydia Feik- 4th, shot put and Sarah Campbell- 4th, pole vault. Placing for the Lady ‘Dogs at the Bob Royer Invite were: Hannah Delong- 4th, 100 and 7th, 400; Alex Miller- 6th, 100 and 3rd, 40; Caitlin Harley- 6th, 1600 and 8th, 800 and Kennedy Moore- 7th, high jump and 7th, long jump.